Idris Elba isn’t just known for his acting roles in American Gangster, Pacific Rim, and The Wire—he’s also a DJ. The Golden Globe-winning actor released his first full-length album Idris Elba Presents Mi Mandela in 2014, and has since collaborated with acts like James Blake and Mumford & Sons. 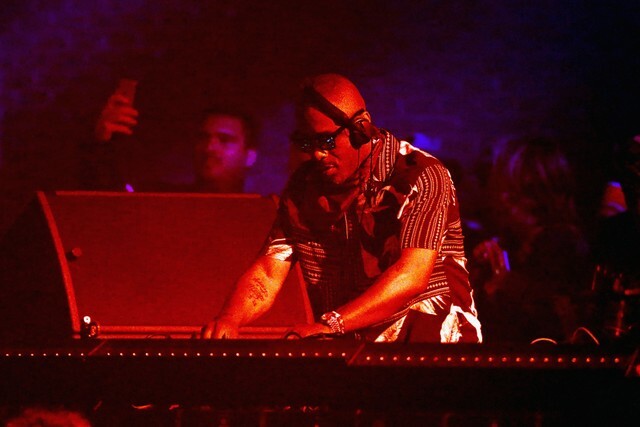 Last night, Elba performed at Coachella, where he played a heady mix of deep house classics according to attendees. Clips on social media show Elba at the decks as glistening piano chords and pulsing bass blare through the monitors. Elba also DJed a Coachella afterparty later that night. Check out a few clips of his sets below and revisit our 2014 interview with the DJ in the buildup to his first album.